Any regular Who What Wear UK readers will know that sometimes it feels like there is a new trending Mango item every single week. FYI, this has a lot to do with the group of #MangoGirls who regularly preview upcoming collections on their Instagram pages. Launchmetrics, a company that analyses the power of influencers, shared with us the most influential Mango Girl in the group, and our team wasn't too proud to admit that we didn't know about her until the report landed in our inbox. According to Launchmetrics, the most powerful woman in this social realm is Russian DJ Daria Malygina. The It girl posted 22 pictures with the #MangoGirls hashtag in 2017 and had an engagement total (e.g., likes and comments) of 219,699. The DJ is also a model who is signed to Next Models and has worked with the likes of Prada and Topshop. It's not hard to see why her Mango outfits are so popular—she always makes the affordable brand look expensive. Keep scrolling to see and shop Daria's style. 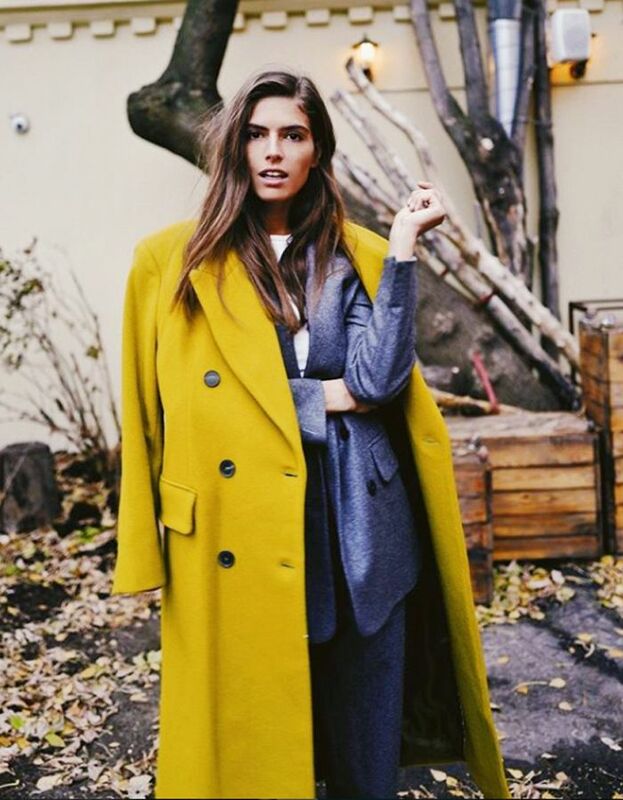 Style Notes: Daria is a big fan of Mango's colourful coats. This one is now sold out, but there's a similar yellow coat available for £90. Style Notes: We think Daria is one of the reasons these pink cords sold out so quickly. Style Notes: Daria is really into monochrome dressing, and we love how she paired her brown cord blazer with a rust-coloured knit. Style Notes: Daria looped a black belt over her red Mango coat, making it look more defined. Style Notes: We told you Daria had a thing for colour. She also makes us want to buy even more Mango earrings. Style Notes: Daria often makes tailored, smart pieces look relaxed. Here, she paired her red suit with sock boots and a black baseball cap.